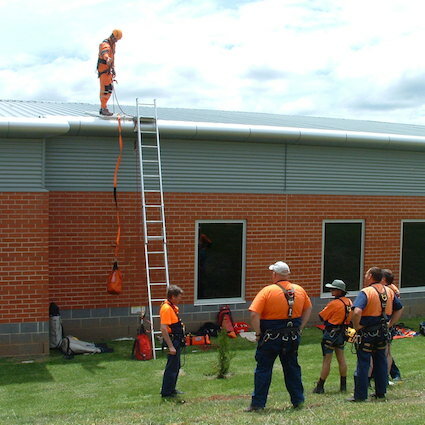 This is a one day (8 hour) program that is an extension to our working at heights training and covers the more desirable mode of work in restraint referred to as ‘work positioning’. 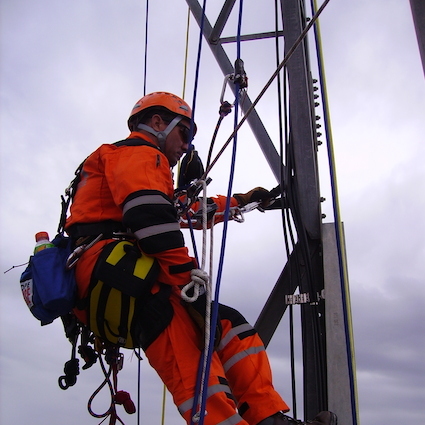 Specifically work positioning utilises the operator’s harness as an ‘active’ PPE(Personal Protection Equipment) device (supporting the weight of the operator rather than being worn ‘passively’ in a fall arrest mode) and must not allow for a fall distance of greater than 600mm. A key tenet of a work positioning system is the ability to work with both hands free. Students will use a range of work positioning devices supplied by Safety Access & Rescue during the course of the training so they may evaluate what will work best in their own work situation. Training can be delivered on site or at our training premises. Please call our office on 02 4784 2224 or complete our Course Enquiry Form. 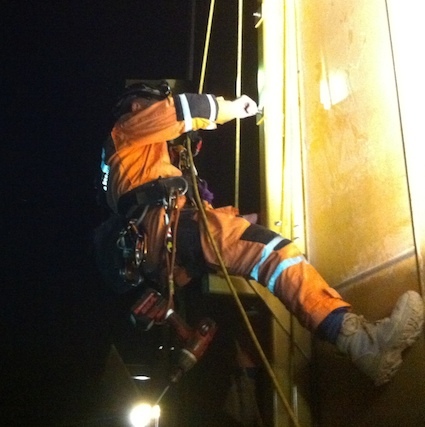 If you would like to attend a more in-depth working at heights training course, you may be interested in our suite of Industrial Rope Access Courses. Successful participants receive an ASQA approved Statement of Attainment. A comprehensive student manual is supplied, as well as all equipment required for training.